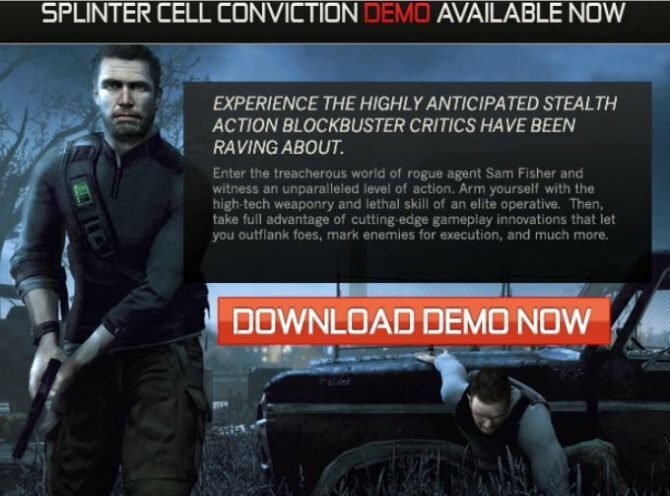 I’m sorry to say that I have not played the demo for Tom Clancy’s Splinter Cell: Conviction, but I did get to try it out another demo at PAX East. I must say, I like what I saw. 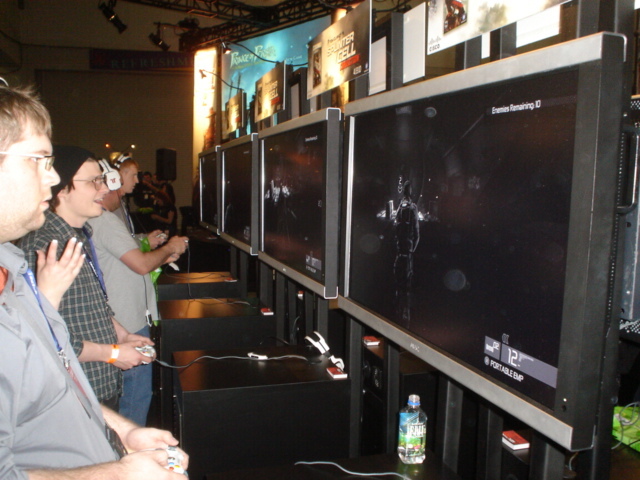 The booths were set-up where you and a random person would team up to play co-op on the Xbox 360. Of course, right off the bat there was a lot of me dying and having to get revived by my partner. I eventually got the hang of the controller and started putting in some work. The mission was real simple. There are X number of people to kill in one area, you have to kill them all. 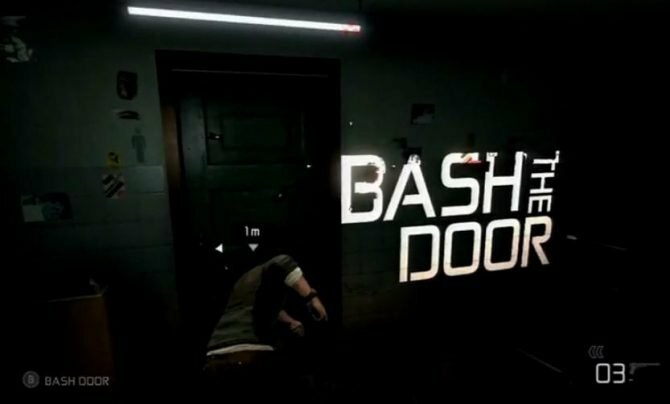 It was mindless and I thought it really limited the freedom to beat the game the way you want to. 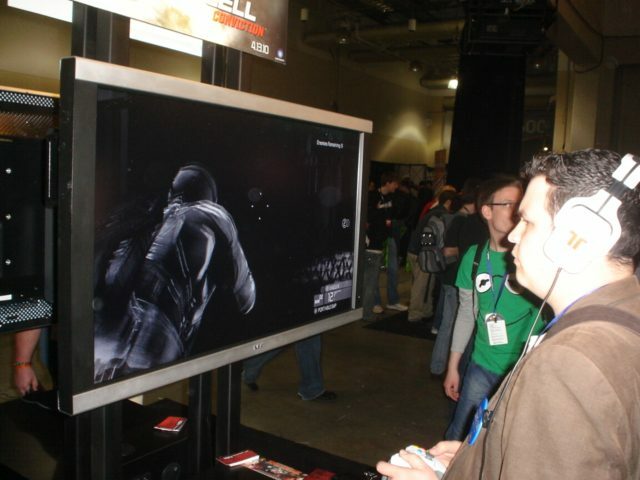 My previous experiences with Splinter Cell was to carry out a mission, such as hack a computer, and you can either kill or sneak past your enemies. I only played for about 15 minutes, but if this is any indication of how co-op, or most of co-op is going to be, then I’m not very excited. It was fun, but I know that kind of fun (mindless killing) is not going to last very long. Other than that, the controls were great and the graphics were smooth. When I get home I’m definitely going to be downloading the demo. 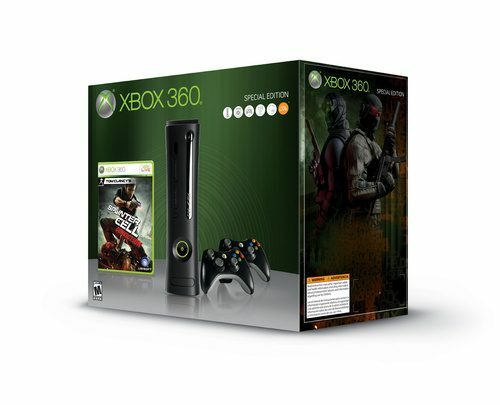 Splinter Cell Conviction Demo and Secret Weapon Code!